Imphal, Apr 30 : Ten Manipur Police personnel, including two officers, have been caught red handed while transporting drugs to the Manipur-Myanmar border town of Moreh. 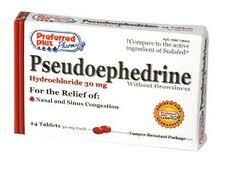 They were arrested on Sunday evening with the psychotropic drug, pseudoephedrine, worth approximately Rs 3.6 crore. The accused were produced before the court of the Thoubal district magistrate on Monday morning and remanded in police custody. They were transporting drugs in two official vehicles. Police sources said that they were in full uniform and were also armed. Police sources added that the drugs were collected from one Mohammad Ali of Lilong Leihaokhong, Papal Lamkhai, in Thoubal district on April 28 at around 5 am. All the accused, including a sub-inspector and a jamadar rank official, were posted with Moreh's Police Commando Unit. They were caught at Pallel on the Imphal-Moreh route by a team of Thoubal commandos. The accused told the court that drugs were collected from Papal Lamkhai under the instruction of R K Binodid Singh, who is presently posted as the Officer-in-charge of Moreh Police Commando Unit. Singh has been suspended. In February, Defence PRO in Imphal Col Ajay Choudhury was arrested from Pallel while he was going to Moreh with a consignment of drugs worth Rs 15 crore.